Khosla Ventures was featured in a VatorNews article: "M&A in mental health: why is it happening and is it good for the space?" Khosla Ventures was featured in a VatorNews article: "Should primary doctors play a bigger role in providing mental health care?" Khosla Ventures was featured in a VatorNews article: "Giving out 'dangerous medications' like 'candy' aggravates the mental health crisis"
Khosla Ventures was featured in a VatorNews article: "A conversation with Bungalow CEO Andrew Collins, who is trying to solve the country's rent crisis"
Khosla Ventures was featured in a VatorNews article: "Top 10 VCs investing in mental/behavioral health"
Khosla Ventures was featured in a VatorNews article: "SplashX - what effect will Amazon have on the healthcare system?" Khosla Ventures was featured in a VatorNews article: "At SplashX - How VCs define the future of clinics, and what gets them excited about it?" Khosla Ventures was featured in a VatorNews article: "Presenting the finalists for Vator Splash Health!" 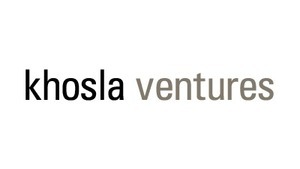 Vinod Khosla confirmed Catalia Health as an investment. Khosla Ventures was featured in a VatorNews article: "Bill Gates launches new $1 billion fund to save the earth"
was added as an investor on Catalia Health. Khosla Ventures was featured in a VatorNews article: "NEA tops list of most active investors in first half of 2016"
Khosla Ventures was featured in a VatorNews article: "Microsoft buys Wand Labs to go deeper into chat bots"
Khosla Ventures was featured in a VatorNews article: "Silicon Valley seems split over Thiel's fight with Gawker"
Khosla Ventures was featured in a VatorNews article: "Daily funding roundup - April 25, 2016"
Khosla Ventures was featured in a VatorNews article: "Daily funding roundup - April 12, 2016"
Khosla Ventures was featured in a VatorNews article: "Daily funding roundup - April 6, 2016"
Khosla Ventures was featured in a VatorNews article: "Daily funding roundup - March 23, 2016"